The exhibition features the artwork of two Melbourne based artists, Mia Emily Freeman and Mai Yazawa. 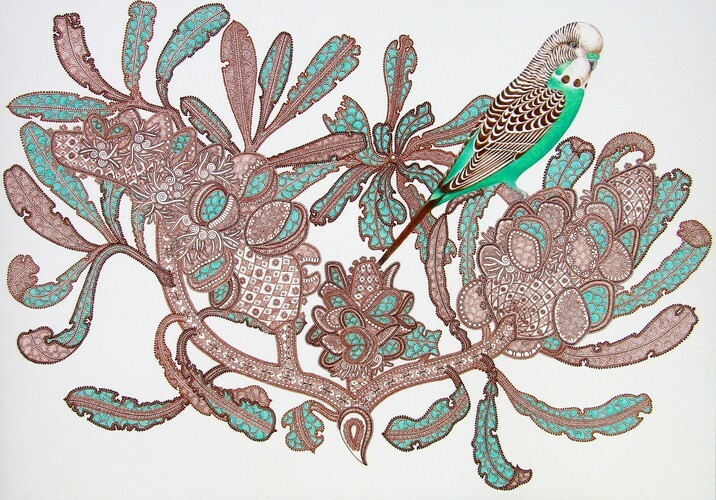 Their illustrations celebrate the beauty and splendour of Australian flora and fauna. 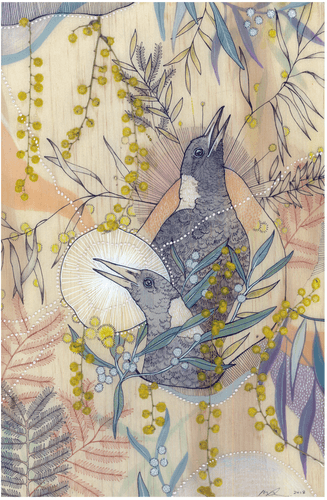 Both artists use a variety of media, and are inspired by their passion for native animals, birds and plants. 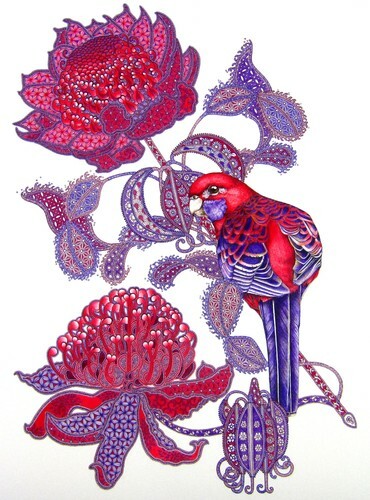 Mia Freeman captures the most intricate details in her illustrations with a playful flair, which help show the relationships between birds and flowers. 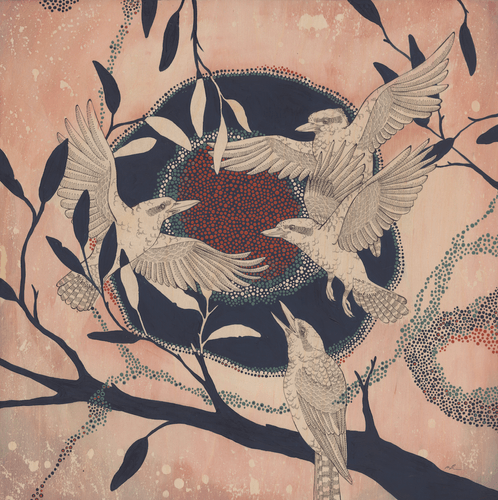 Her work is gentle and warm, using a calming palette and intricate details. 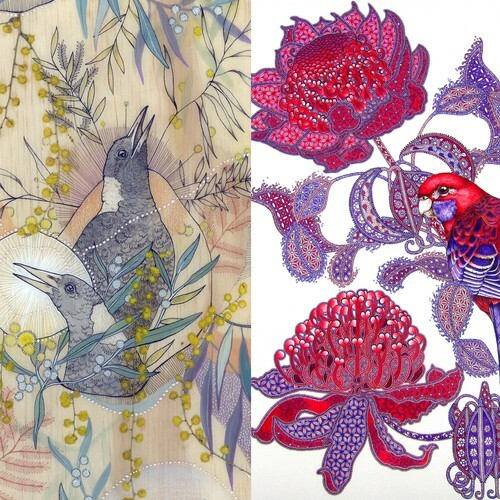 Mai’s background in textile design is obvious in her use of the repeating and tessellating shapes and patterns, which she integrates with native Australian flora and fauna. While we still have a few weeks of summer left, these pieces are the perfect reflection of the warm temperatures and beautiful blooms around us.